Inspiration can sometimes be found in the strangest places. Even Arkansas. Please, Arkansans, don’t take offence at our little joke. The truth is, here in Saunderstown, we love The Natural State and no place more than Terra Studios, close to Durham, deep in the heart of Washington County, an OM’s footstep off Highway 16. It was here in 1975 that Leo Ward, a little-known glass-blower with a furnace and a dream, embarked on a project small in scale but big in ambition. It is a project uncannily like our own. Does the Arkansas Bluebird of Happiness mean anything to you? It should do because in the 29 years since Leo crafted his first glass bird in the Ozark Mountains, a further nine million have left his studio, all beautiful, all unique. Sound familiar? Sound like another project you might have heard a little about? The similarities between Leo’s Bluebirds and our OMs have been pointed out to us in recent days. The parallels, it’s true, are plentiful. Physically, our products are not a lot alike. But spiritually, in the ambition and determination that underpins our respective projects, the connections are clear. There’s a vision here, a vision shared. Just like the OMs, the Bluebirds had modest beginnings, sold at first at the little-known Ozarks Arts and Crafts Fair and considered not much more than a hobby. Yet slowly, surely, their wings began to spread and their flight since has been far and wide. 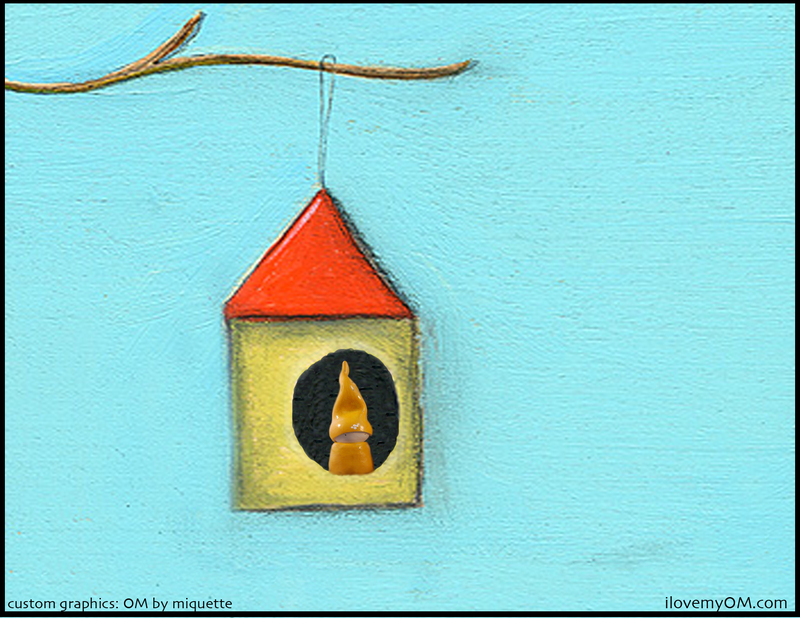 These days, more than 8,000 gift stores across the United States can claim to have stocked Leo’s Bluebirds. Like our OMs, they’ve been shipped all over the planet. Like our OMs, they’ve carried a message, a message to hearten, a message to cherish, a message to believe. Based on mythological beliefs the bluebird has come to symbolise health and happiness, renewal, prosperity, understanding and acceptance, friendship and contentment – all sentiments held dear in our studio, sentiments to share, sentiments to encourage. Be it on a glass bluebird’s wings or beneath an OM’s crumpled hat, that message is being spread all the time. The word is out, the message is clear. So like the artisans at Terra Studios – where Leo, now retired, has passed the baton to John, his son – we’ll continue our efforts, safe in the knowledge that from humble beginnings, astonishing accomplishments can be made. The Bluebirds have taught us that, that is their message to us. To have produced nine million Bluebirds, each of them a handcrafted original, is a remarkable achievement, an achievement that inspires us and one for which we salute Leo and his team. It has given us something to aim for, something to aspire to, a reason to believe that our targets can be met, our dreams realised. Fresh hope. Friendship. Renewal. Faith. Do you have an OM? Do you have a Bluebird? Perhaps you have both. To hear more wonderful stories about connections happening around the globe, please join our journey right here and subscribe to this blog! We’d love to have you on board and we’d love to have your feedback! The journey to connect begins with a single word…….OM.